Downtown Stockton is rich with history and culture. You can get a glimpse into Stockton’s past and get a good sense of Stockton culture by visiting a few of the small shops on Market Street, including Frank’s Shoe Shine, Hi-Grade Cleaners, and AirRaid Airbrush. They are very different businesses, but each is a reflection of downtown Stockton and it’s past. 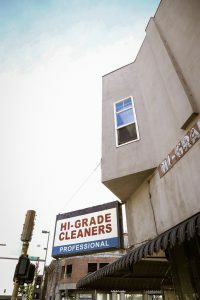 Hi-Grade Cleaners is located at 47 South San Joaquin Street, on the corner of San Joaquin and Market Street, and it has been around for a long time. The current owner, Kevin Jang, has been running Hi-Grade Cleaners for 16 years, and the previous two owners ran the cleaners for a total of 25 years before him. For over 40 years, Hi-Grade Cleaners has been in business on Market Street providing their services to Stockton residents and employees in the area who need their clothes and uniforms clean and looking their best. They are doing some great and valued work to be in business for so long. Owner Kevin Jang believes that he and Hi-Grade Cleaners will be around for a lot longer. Already, he is investing in new machines and a new boiler to serve his customers, new and old. 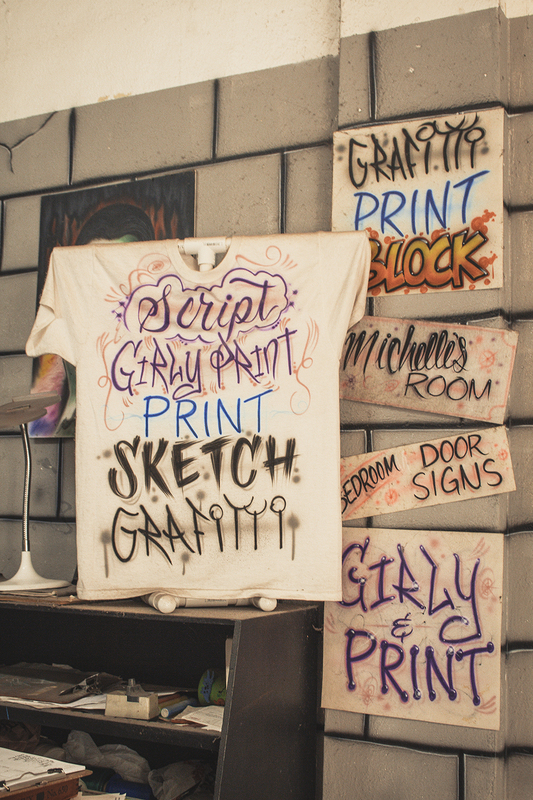 Downtown Stockton is home to many artists, and one of those artists owns and operates his own business right on Market Street. Orlando Lopez is the owner of AirRaid Airbrush located at 233 East Market Street and has been in business for ten years. On how he got into the art of airbrushing, Lopez said, “Always interested in art and given an airbrush, I bought airbrush magazines that had practice drills and I bought sheets from thrift stores and hung them and practiced on them. It takes about a year before you are just okay with an airbrush because there is so much to learn.” From shoes and Christmas stockings, to car parts and Halloween pumpkins, Lopez at AirRaid Airbrush will make something fantastic as long as the paint is able to stick. You can get a glimpse of his work this weekend. Orlando Lopez will be painting shoes on location at Dillards Department Store at Weberstown Mall this Sunday, Dec. 2nd from 5-9pm. You can learn more about AirRaid Airbrush by following them on Facebook. From dry cleaning to shoe shining to airbrushing, Market Street is overflowing with talent, history, and culture. It deserves more support and recognition from the community. 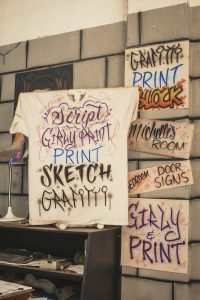 It is definitely a place that should come to mind during times when one needs some clothes dry cleaned, some shoes shines, or a t-shirt that needs a new airbrushed design.